Recently, here we posted an article on How to Access Facebook Old Chat Sidebar in Google Chrome. Now as their are still many peoples who uses Mozilla Firefox. So now we posted this article for our Firefox users. In the last article in which we describes how to get facebook old chat bar in Google Chrome by using a simple trick that is by using a handy extension. In this, we also make use of Firefox extensions that are known as Add ons. 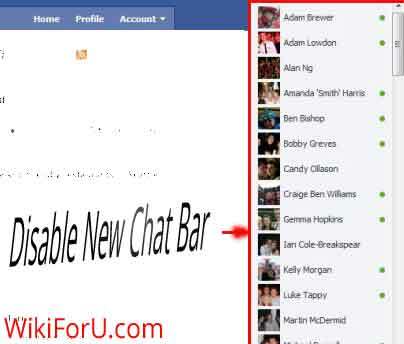 This addon is known as FB Chat Disabler. Please download this add-on's newer version from the provided link below and don't download from Mozilla Firefox Addons page, because the newer version is not accepted yet. And that's it. Now Enjoy Old Chat Bar. It adds blue shadow to top nav bar of Facebook. It adds their Profile links in the chat bar to respective users. You can get back to newer version chat bar anytime as you wish. To do this simply disable or remove this add-on and then use Facebook.